"You don't seem quite to have made up you mind whether it's a case for a policeman or a clergyman." We read in Scripture, " “He that toucheth pitch, shall be defiled ..."
And so it proves for Murphy. but here, mere knowledge does not suffice. 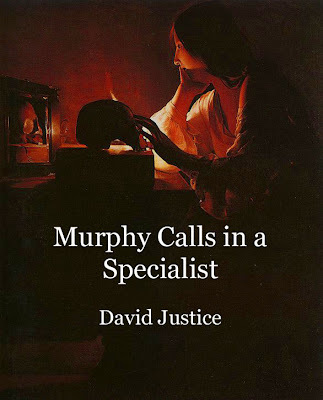 Shaken, infected by what he most abhors... Murphy must call in a Professional. Click to download this new Murphy Brothers story for Kindle, just 99 cents.